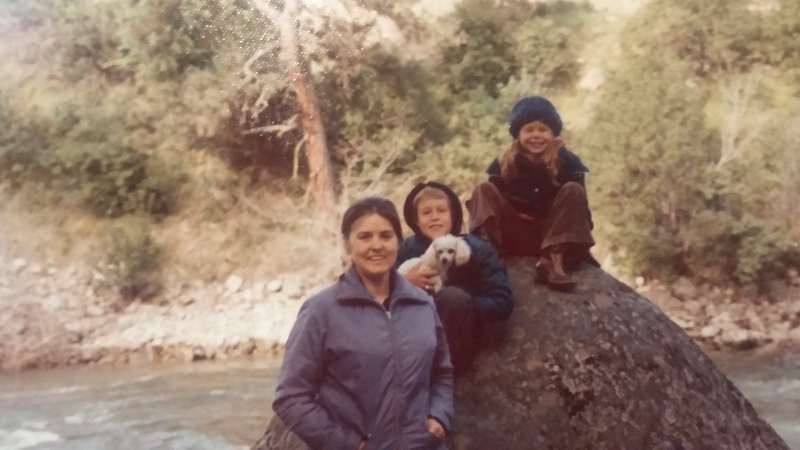 Of all of the ways my mother has inspired, helped with, and taught me… the most imperative thing she taught me was how to raise a kid who needed creative, hands-on parenting. In my heart, I know Mr. Awesome wouldn’t be my son, if not for my mom (She literally is the one who told me to open my eyes and heart to Mr. Matrimony. She also said, if YOU don’t call him, I WILL!). My son also wouldn’t be the person he has become. Not that I nor my mom are the reasons for his awesomeness…. He did that on his own. Being the catalyst to help get him out of his situation is more what I was responsible for. He was 17 when he entered my life. Emotionally, and socially, he was much younger. 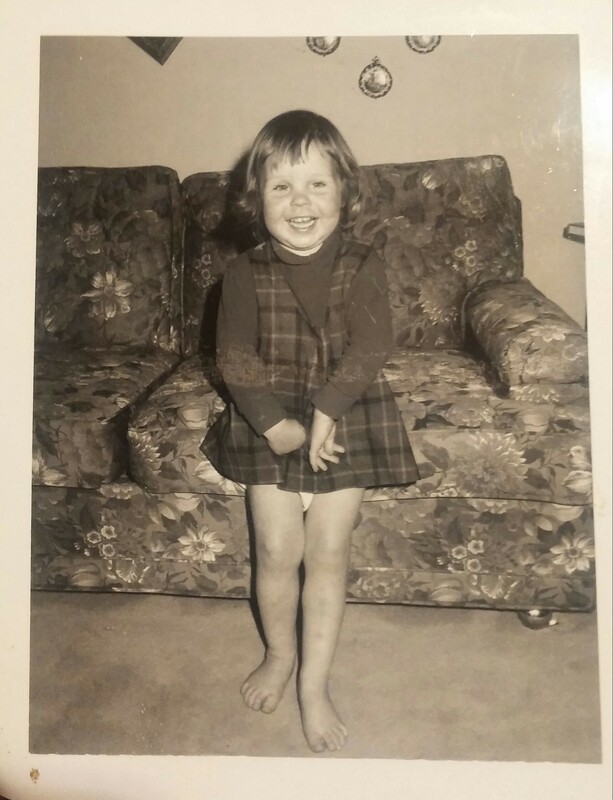 Precocious is a word I’ve often heard to describe how I behaved as a child. 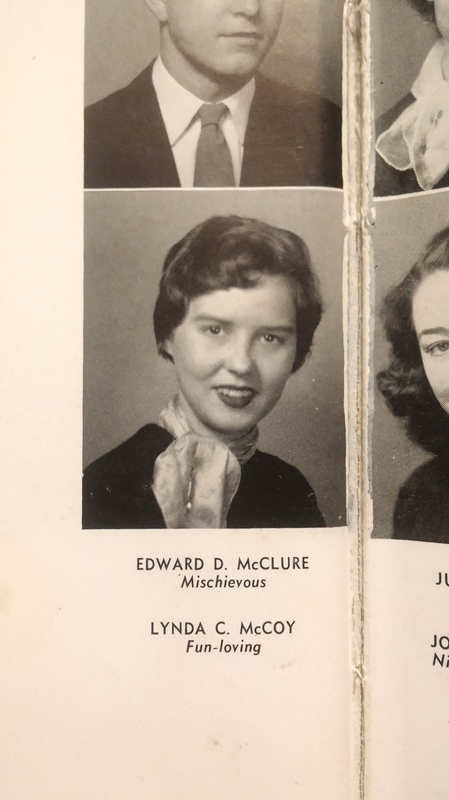 We didn’t know it back then, but my type of “precocious” had a label. ADHD. 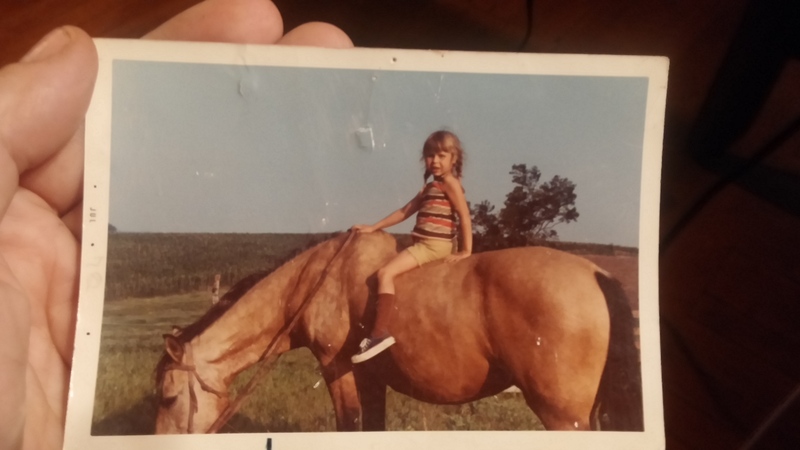 I’ve asked Mom if she would’ve changed anything about the way she raised me had she known about ADHD meds. She told me, “NO”. It wasn’t so much her answer that soothed my questioning heart, it was the way she answered. Her response was swift and unwavering. 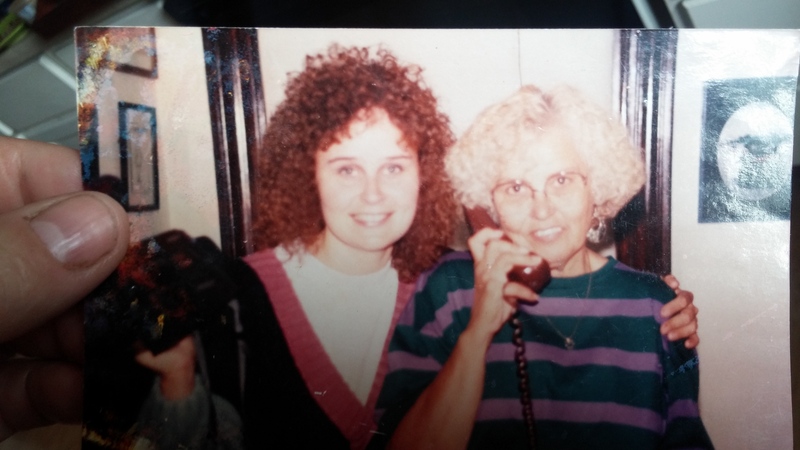 Now that I’m writing about it, it makes me think… I wonder if it was something Mom had asked her own self. It must have been. It isn’t a question one can answer immediately without thought as to weighing out the pros and cons. 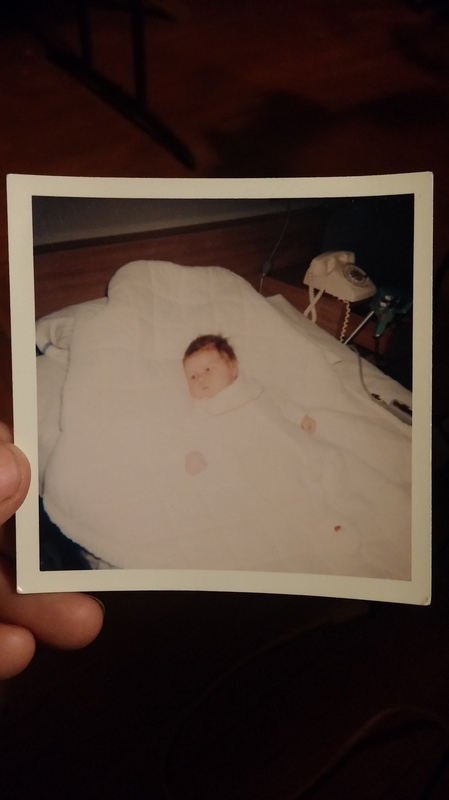 I was like, 2 weeks old when I was born. Or more. I look like a 3 month old, don’t I? This picture was taken before they took me home for the first time!!! 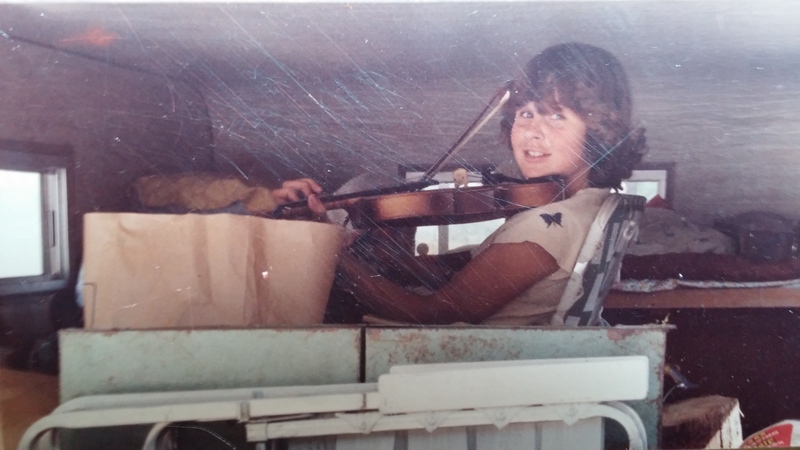 My poor mom… I was 10 lbs. 3 oz. She had me with NO drugs. Once, I asked her if they even had drugs back then. She told me they did, and I asked her if she was crazy!!! Well, she’s not. She didn’t think it would be good for me. She’s so awesome. She has put her kids first since day one. Now, we are at approximately day 17,948 since my brother was born, and her journey putting us first began. Even though thousands of miles separate us, I know that I’m still at the top of her list. I was off at a run from the beginning. I’m fairly sure I ran before I walked. I also talked a lot. Like a LOT. 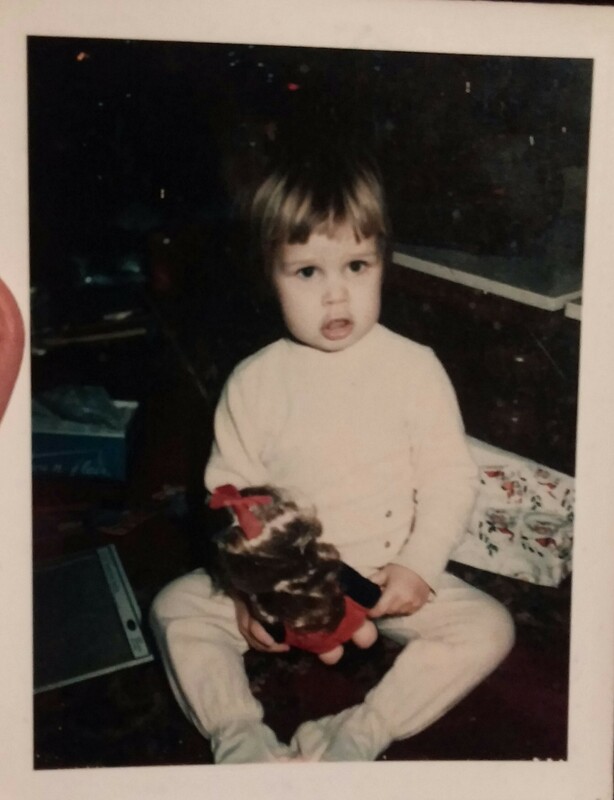 Mom says my first word was a paragraph and it started with, “I do it my-TELF!” Probably she’s not exaggerating. 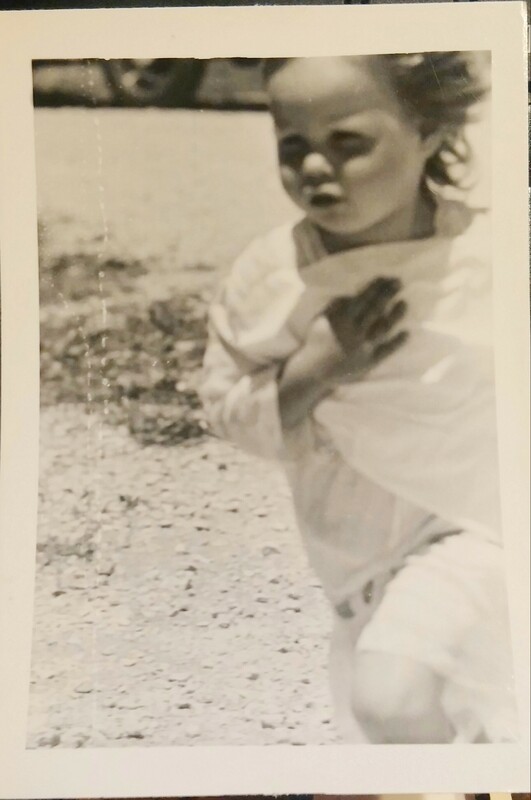 Most of the pictures of me when I was little are with my mouth open…. and Saturday Night Dances with my LDS friends from “over-the-hill”. Mom taught me to cook (the good ol’ Southern way), and bought me a corsage when the creep I asked to the Sadie Hawkins dance didn’t have one (I think she had a back up corsage for every dance, just in case they were all creeps). 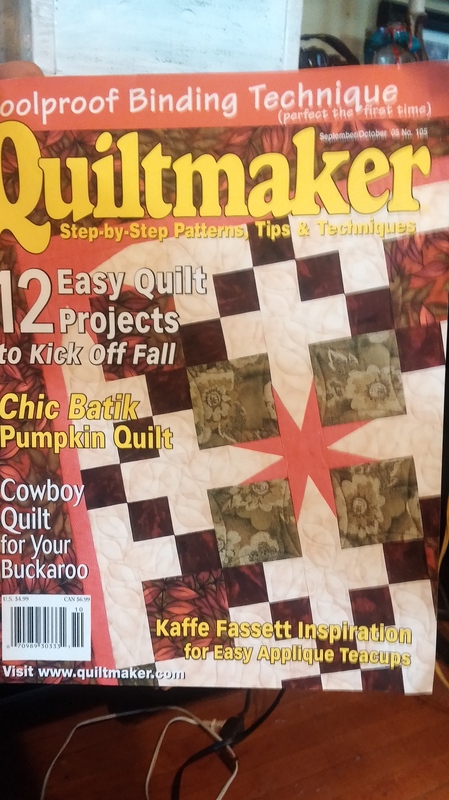 My mom crafted a lot and pretty much taught me everything she learned as she went along She took me with her to tole painting classes, helped me pour wax into the sand at the beach to make candles, and showed me how to cross-stitch. We painted on clothes together, dried and arranged flowers, and made wreaths. 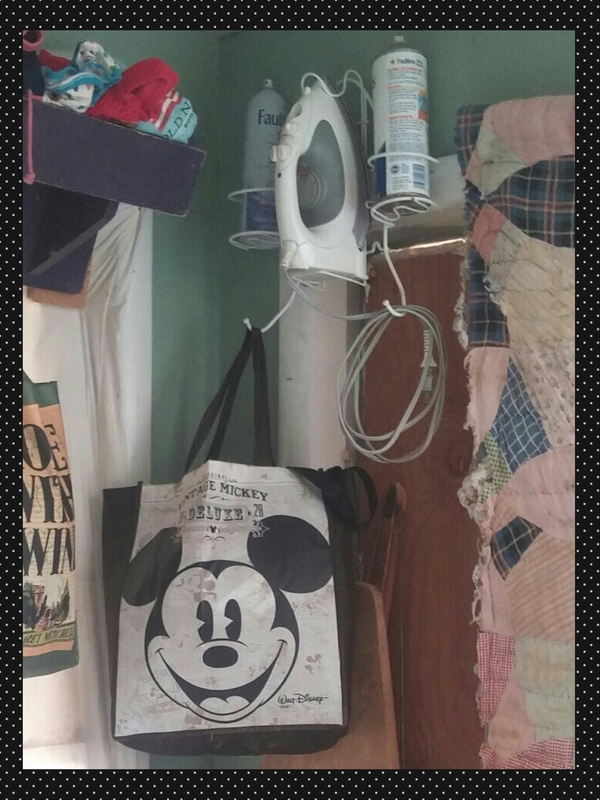 Here is Mom’s craft room when I was growing up…. Every time I find an old box of stuff in the basement, something from my past with mom and crafts is uncovered. Just last week in a box she left when she moved back to her childhood home, I found these books…. 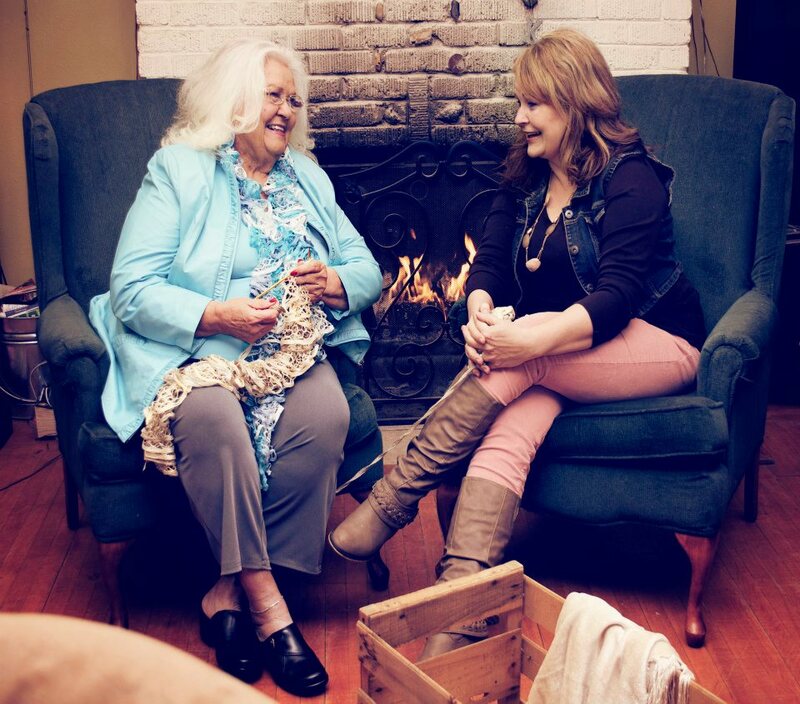 The lessons Mom taught me about crafting are all tied in to my love of the 100 year old house Mr. Matrimony and I are restoring. Here is our home now…. 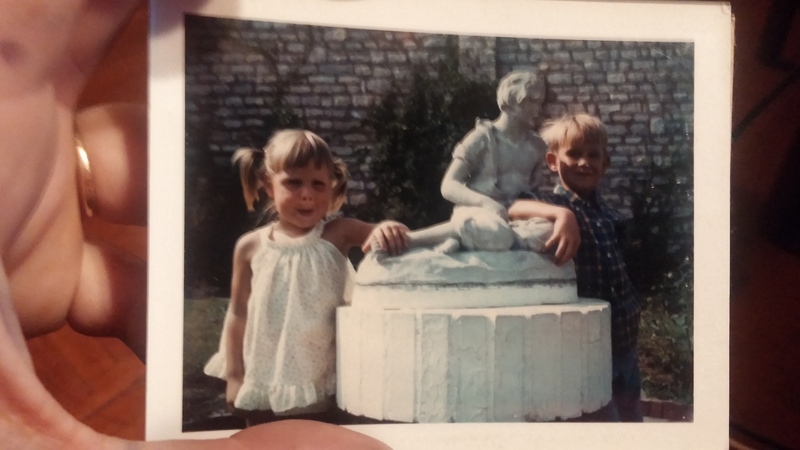 And how it was when we were first married…. Restoring my parents own 100 year old home, Mom worked her fingers until they bled. I really don’t remember my dad doing actual “hands-on” work like my mom did. 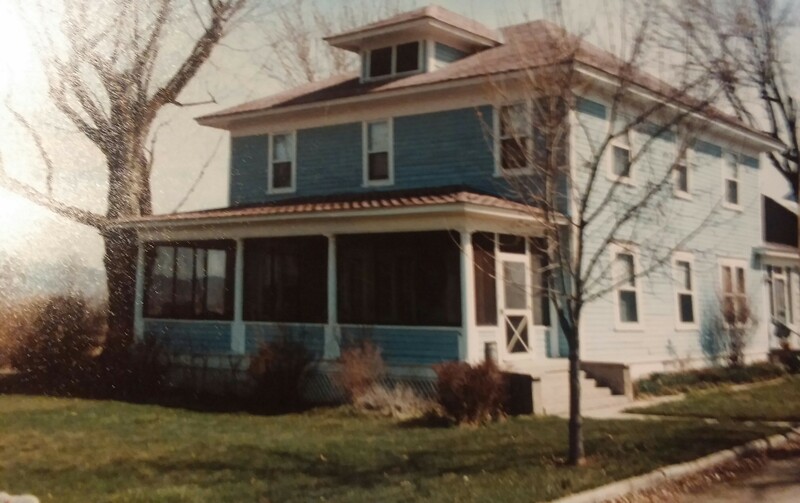 Here’s what my childhood home looked like after Mom worked her magic on it. 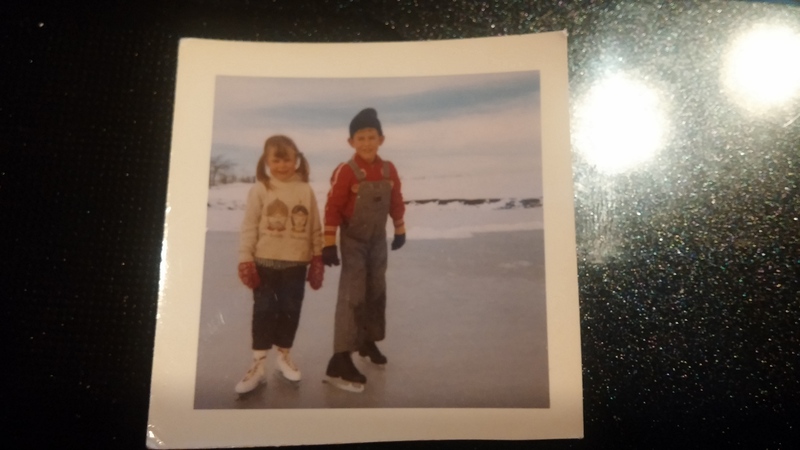 Note: In the near future, I’ll do a story on the house I grew up in; complete with period furniture, wall & window coverings, appliances, and all the other lovelies we had back then. Most of all, she surely she was also my guardian angel because I was injured so often (something like 9 sprained ankles, a concussion, ski-injury-knee that required surgery, and 2 broken toes at the same time) there’s no way I would’ve survived without an angel, or at the very least, a prayer warrior looking out for me. That was Mom. It could have been worse. She could have left me to my own devices and who knows what would’ve happened to me! But no… she parented me. That was my ADHD medication. My story was written on my mom’s heart and she turned each page, making sure none were stuck together. When pages were frayed, and the letters smeared with my tears, her own tears wiped them away. She savored those chapters. Not with joy, but with necessity that is takes for a mother to help get the story right. Mom, I want your story to be written on my heart so that I will not forget and you will have a legacy to continue until the end of time. We have many more chapters together and each one is better than the one before. The one we are in now, is especially good! Thank you for guiding me. For teaching me. For parenting me. Thank you for being there until I finally got things right (i.e. Kelly and “The Call”). Everything good that I am is because of you. Without you, I wouldn’t have my relationship I have with my husband, my son, or with God. Sometimes, I wonder what it would have been like to be your friend when you were young. But in researching for this post, I’ve been reading the comments in your yearbook, notes from your friends, and writings from the backs of pictures of cute boys. I’ve decided you were too precocious for me. Being your daughter has turned out better than any other relationship would have. I guess God really does know what he’s doing. Thank you for being the one BFF that has lasted my entire adult life. My awesome son, Mr. Awesome, gave me the most awesome birthday present this year. 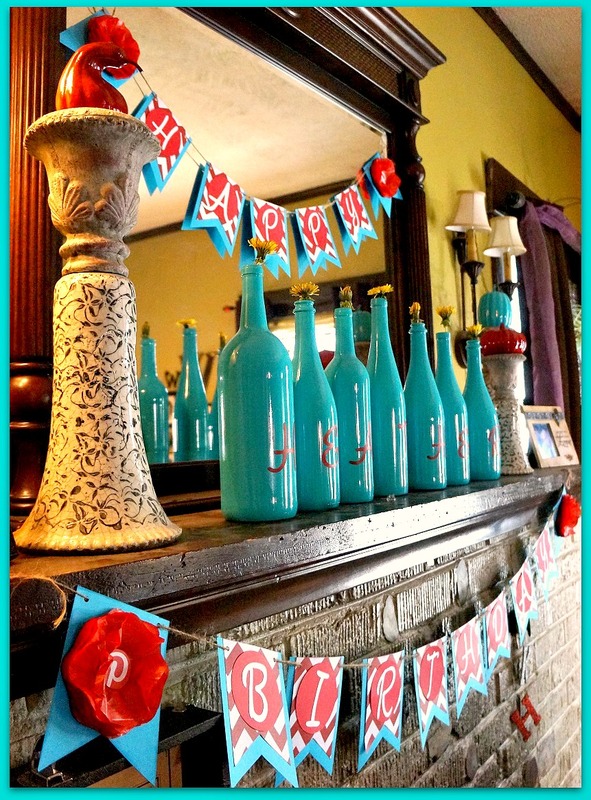 He gave me a Pinterest themed birthday party! He actually wanted to do something even more extravagant for me, but Mr. Matrimony steered him in a less costly direction. My son seemed disappointed when he talked to me about what I wanted and I assured him, I wanted a party… a real BIG GIRL birthday party! Boy did he come through!!! 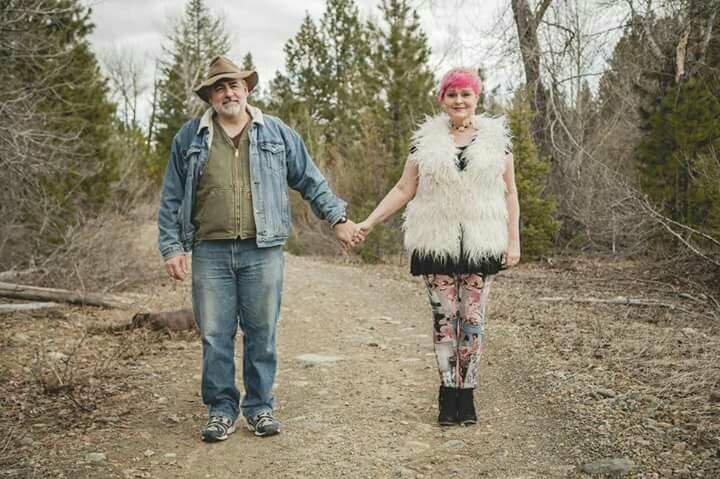 First, he hired Singing Honey Bee Designs (her ETSY, blog, and Facebook links are listed at the end of this post) to plan the party. Her specialty is kid’s parties. This was her first real BIG GIRL party, so she was just about as excited as I was! I knew right away I wanted a Pinterest Party. Honestly though, when I thought of that idea, I was picturing a party where the guests would bring food they found via Pinning and then we would make something I found on Pinterest. 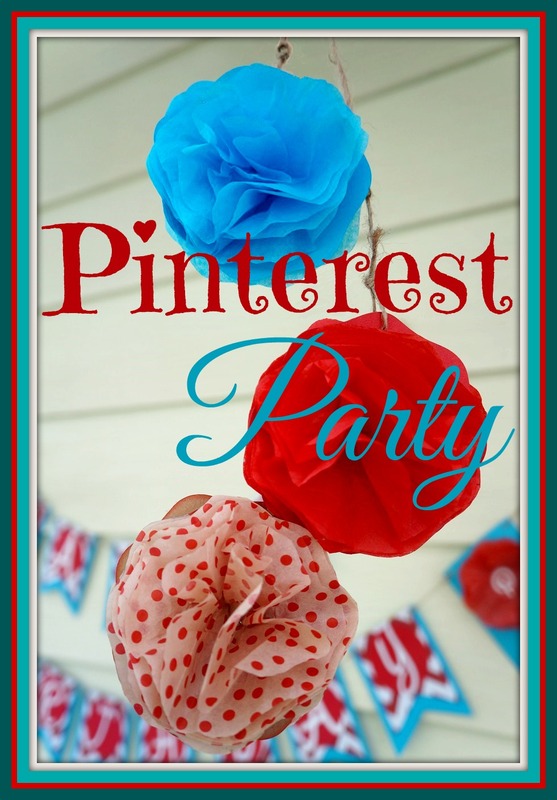 Not a party centered around Pinterest. 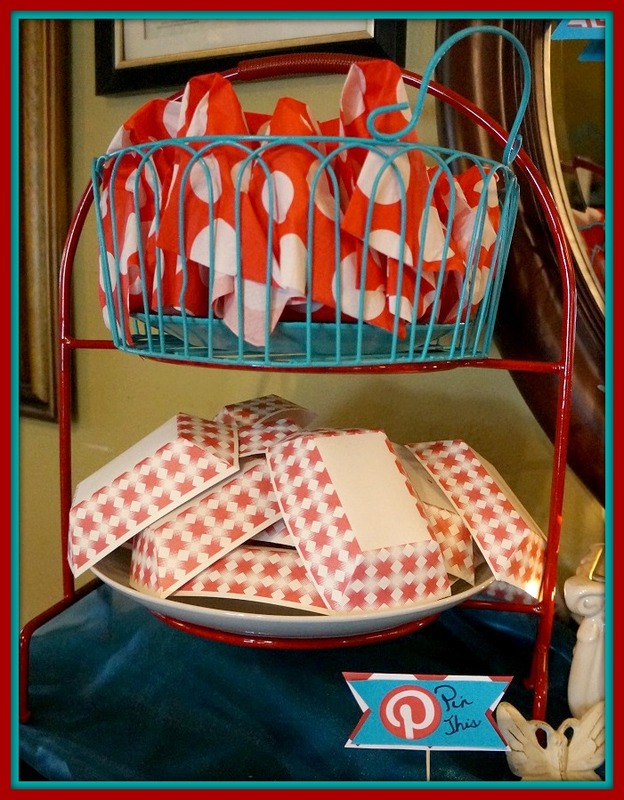 Then I realized she was thinking of a Pinterest themed party. We couldn’t have ended up further away from that color scheme unless we went with black and white! And guess what… I loved it. The colors were just so happy. I can’t take any credit for this short part one of the story. All I can say is, when a professional has been hired for planning a party, trust them! She really has a gift with colors, and how to put things together by using those colors. 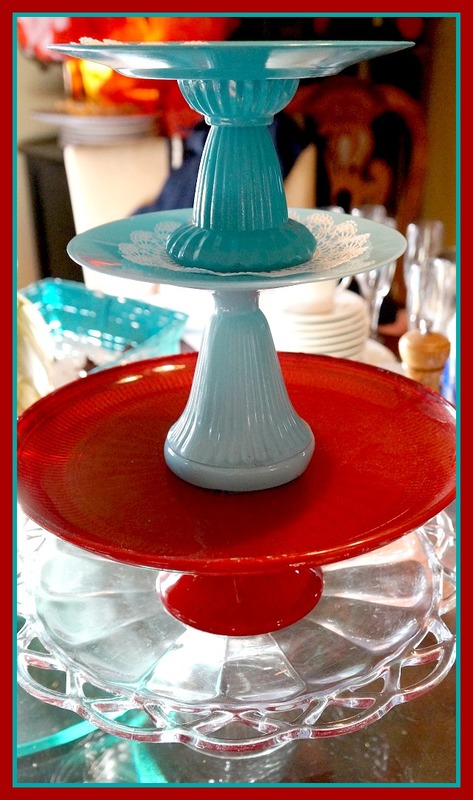 Red seemed obvious with a Pinterest Theme party, and turquoise is very complimentary to it. 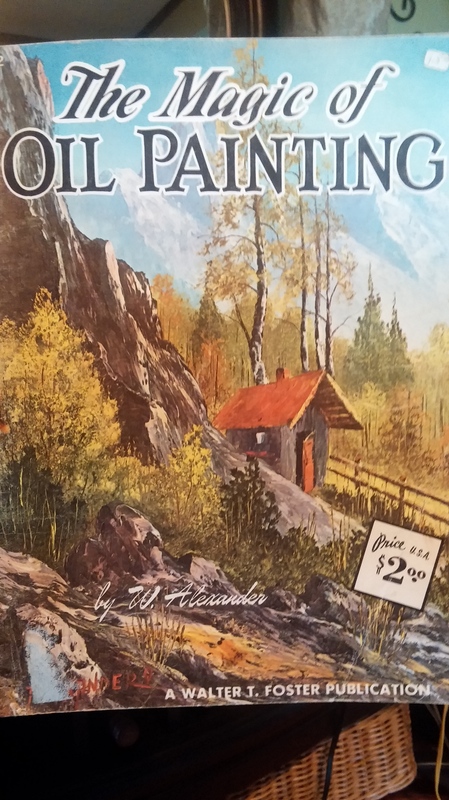 With hints of yellow intermingled, the main colors were really set off. 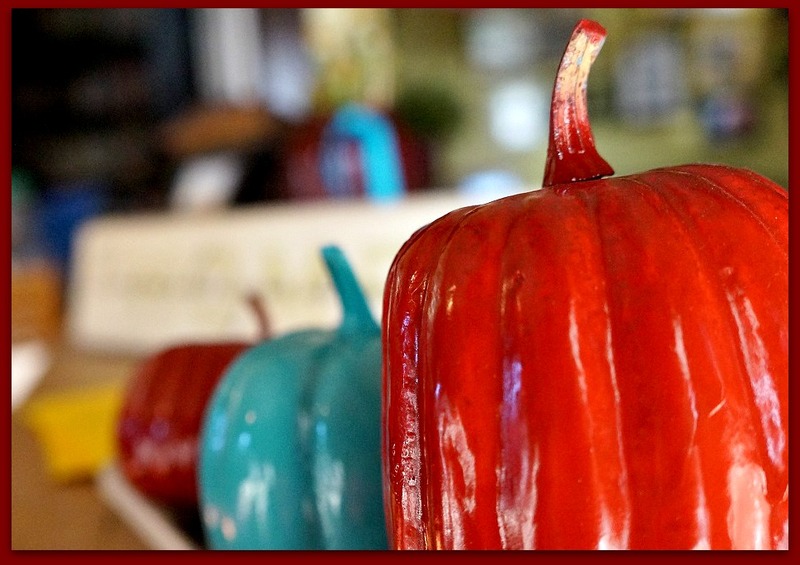 The colors are pretty complimentary to my skin tone in the picture display that greeted my guests at the front door…. Don’t you agree? 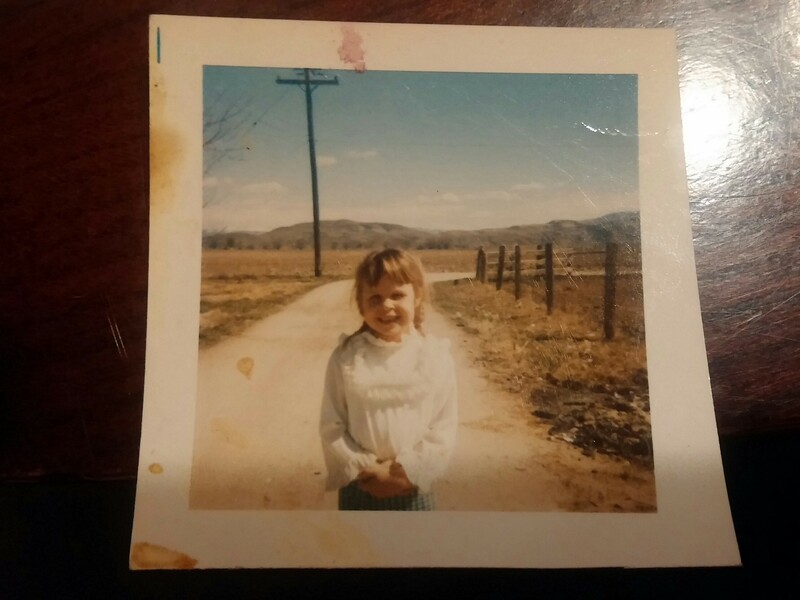 Ok, maybe it is more complimentary to that faded 70’s photo matte look and not my natural skin tone. Still…. I likey! We used quite a bit of spray paint. For the turquoise (or aqua, if you prefer) we used Rustoleum’s Painter’s Touch in Seaside (gloss). For the red, we used whatever I had around. Something around here always seems to be painted red, so I always have at least a few cans. 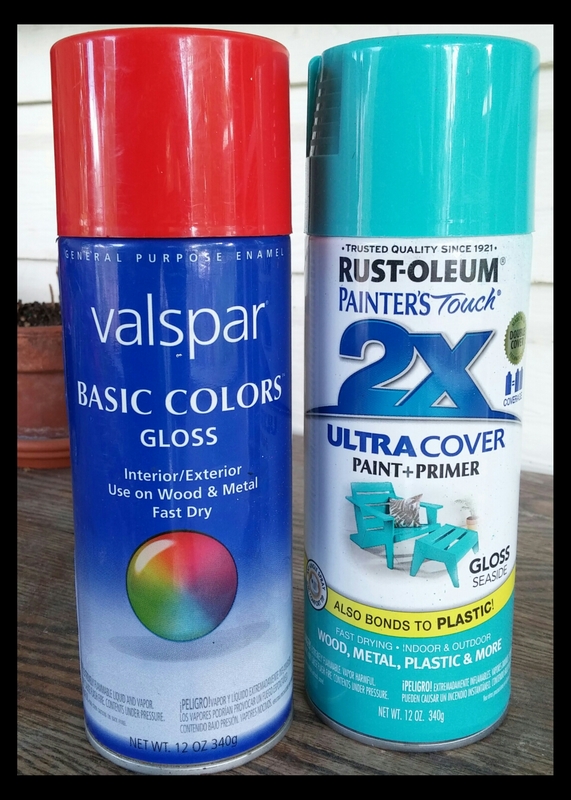 Red spray paint can be picked up at hardware stores for .98 cents a can. Sometimes, even dollar stores have it! I painted a lot lot lot of stuff! 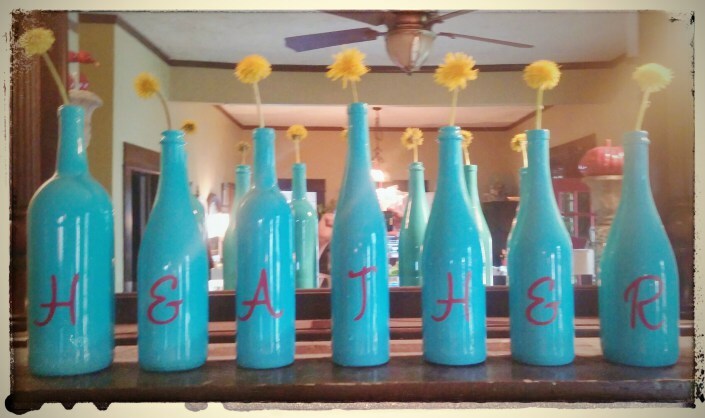 I spray painted wine bottles and Singing Honey Bee provided the letters. 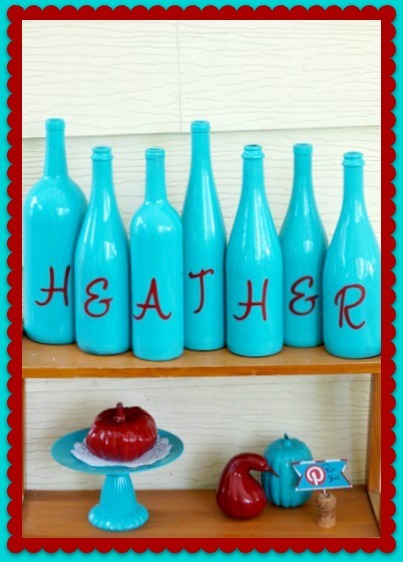 From her ETSY store, she does custom orders in different sizes with many fonts to choose from! We displayed the wine bottles with my name on the fireplace mantle. I put them up days before the party and didn’t want to take them down until days after. That’s just how great they looked! The candle sticks on either side were topped with some of the painted (fake) squash. My “Happy Birthday” bunting banners were above and below the display. It was as if a Pin had stepped right off of Pinterest and into my living room!!! 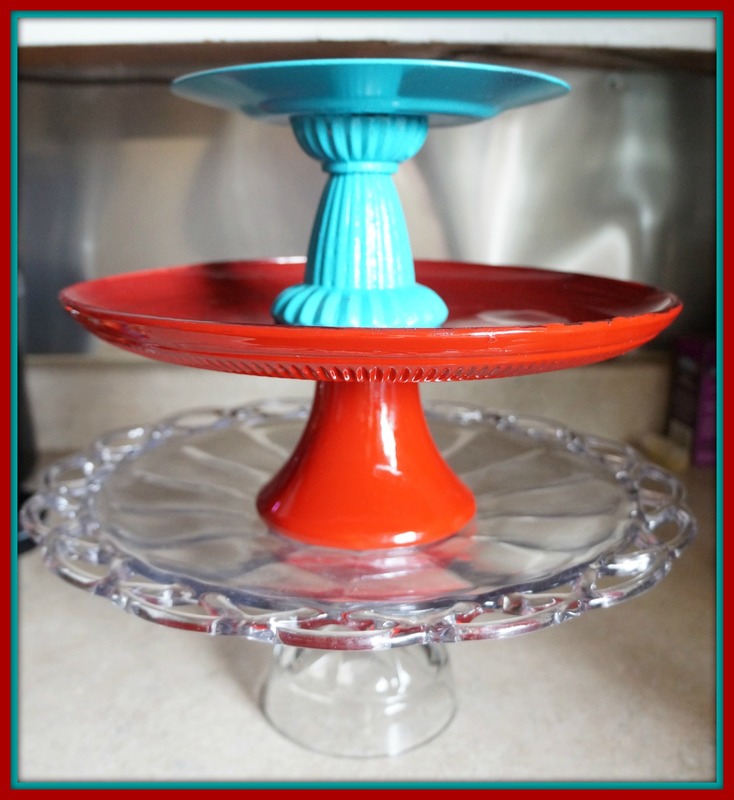 This is a two-tiered pie server, painted red. On the bottom, I placed a simple plate which served as a holding place for our cute little red and white checkered fry boats. The top is where the napkins were. The spray painted basket fit perfectly in the pie server. I painted a plate the also fit perfectly, in the basket. They are the same color, so the plate just looks like the bottom of the basket. I had cake pops instead of a traditional birthday cake. They were the first ones Melissa has ever made. She was not impressed with the process… or the outcome! She was the only one who thought that. Since I didn’t have a “regular” cake, I didn’t need a “regular” cake server. So I made this! It’s actually 3 plate stands I had made previously. The only thing I changed was to paint the red one. The picture below has an extra plate stand on it. I just set it up there for the picture. One of the fun things Melissa did for the party was ask everyone to place the finger food they brought on a server that matched the party theme. I’m not sure how something so simple brought so much joy to me! I wasn’t the only one either. There were a lot of compliments on the look it created. Here’s a tiny preview of how my “cake” turned out…. There was quite a bit of shipping paper left-over from our move. I offered it up to Singing Honey Bee designs, and she transformed the plain brown packing paper into these…. They are BIG and they are spectacular! When she does a post on this design, I’ll make sure to offer a link. She did this really neato twisty-thingie with the center. They became honest-to-goodness realistic! Painted with spray paint, they really tied in as a valance across my dining room windows. I was going to cover the other flowers in a different chapter of this post. I decided though, that they were more suited here since I was talking about the colors and showing you the ones we spray painted. 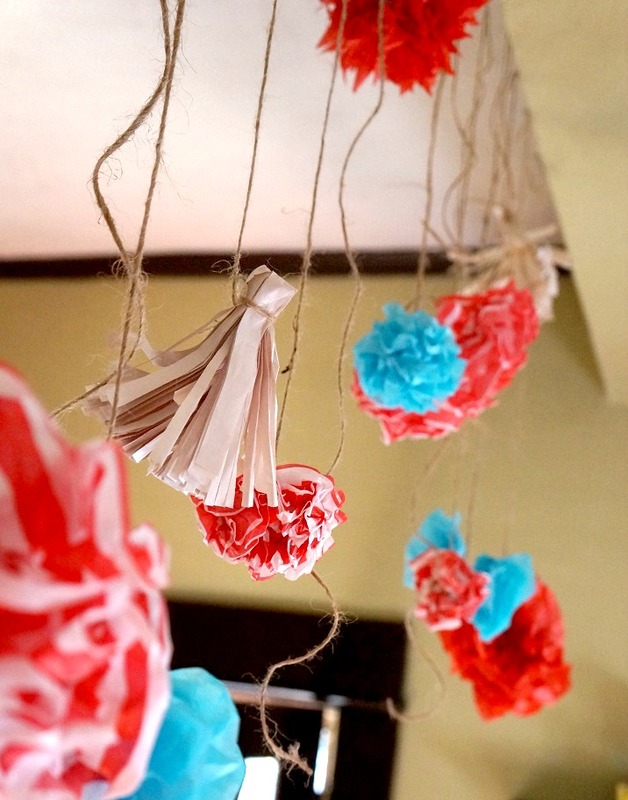 One of the projects Melissa and I worked on together was this “garland”. The flowers are not connected, but were hung from a support beam in a way that made them seem so. 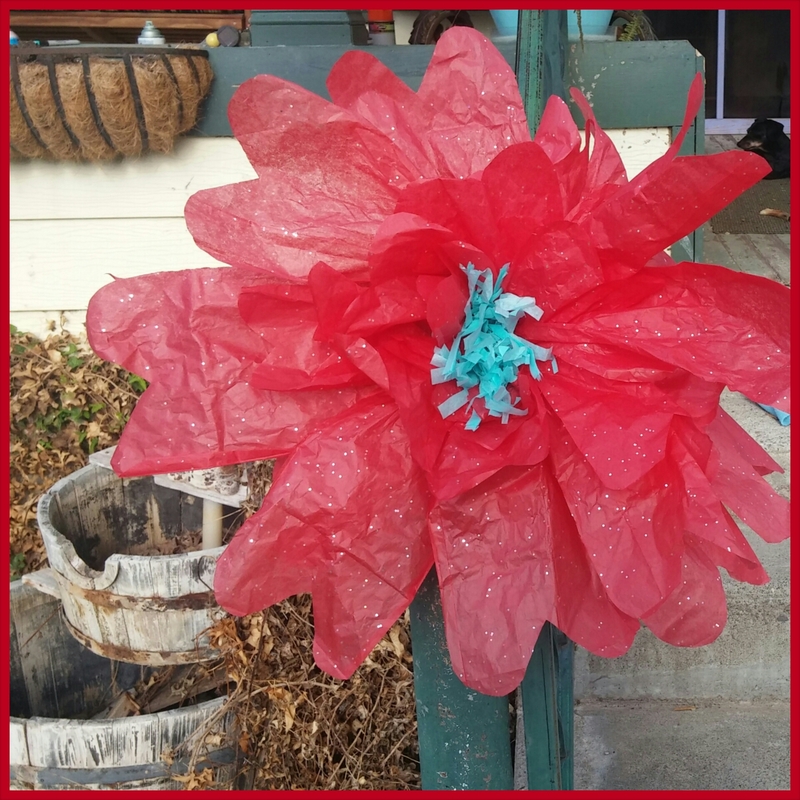 Since I knew only one kind of flower to make with tissue paper, I was quite proud of myself when I came up with the idea to make sharp corners on one, rather than rounded. Then The Singing Honey Bee started making all sorts of flowers. This one looks like a bow tie. 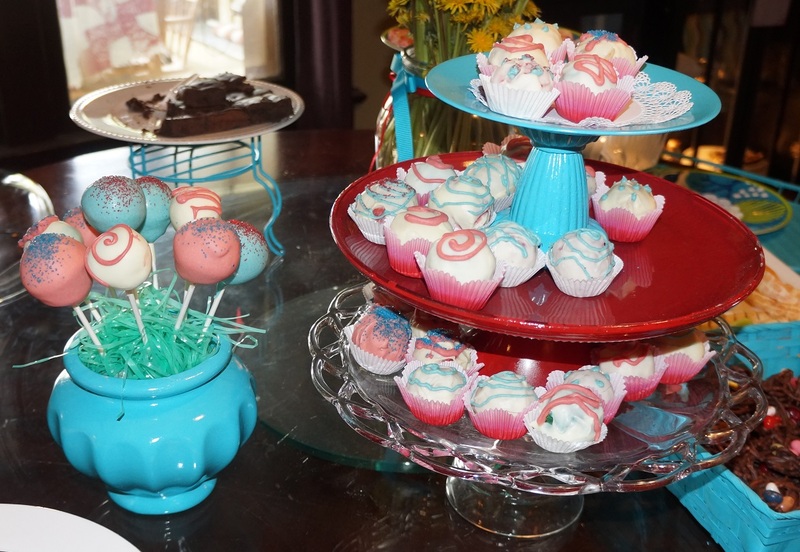 Wouldn’t that be sweet for a baby boy shower? Her “double” is wonderful! The oblong shape fits in neatly with the other flowers that are almost always round. I don’t know what to call this one, but it seems like the end of an antique broom. This one may be my favorite design. As I was typing this, I realized how cute it might be with striped paper. This one is made out of shipping paper so was next to free to make! 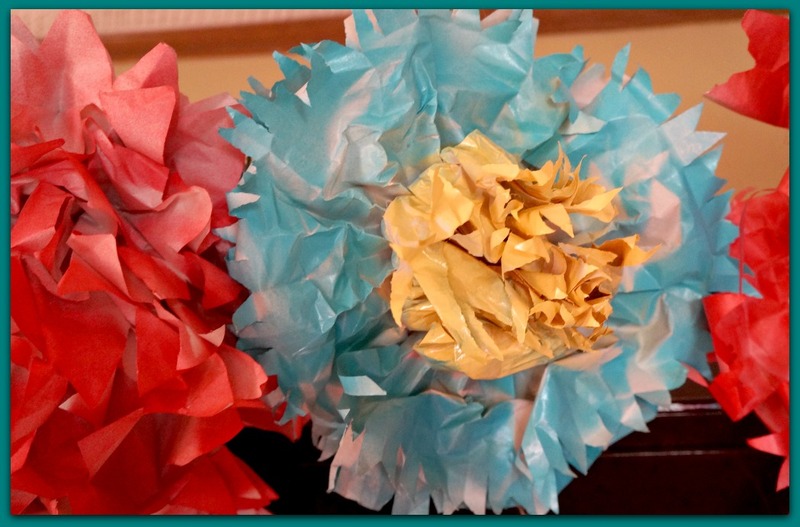 And of course, we made regular tissue paper flowers. 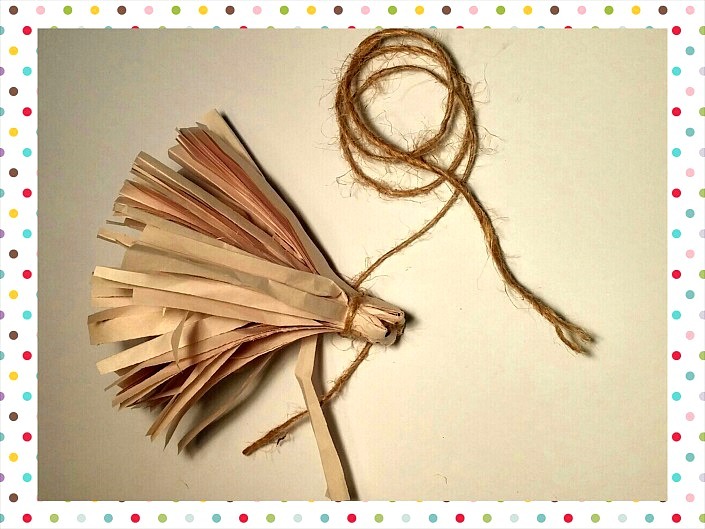 Don’t you just love the twine? Melissa left it long so it would hang down and naturally twist a bit. That little bit of detail really made a big difference! 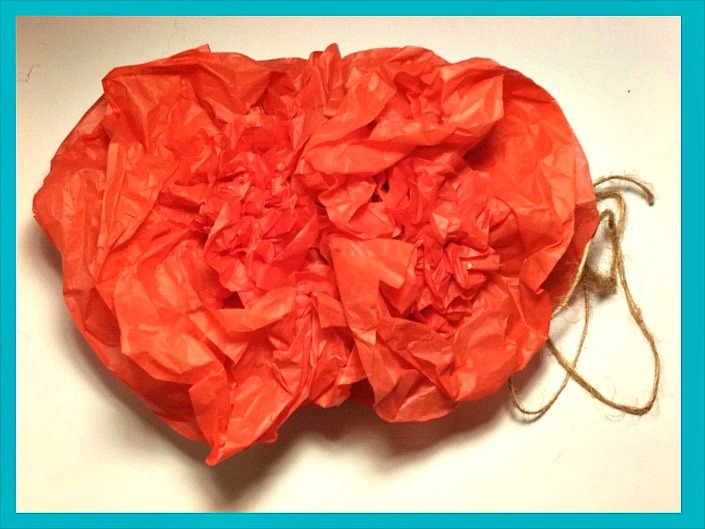 Melissa had Pinned a tutorial on making tissue paper poppies. 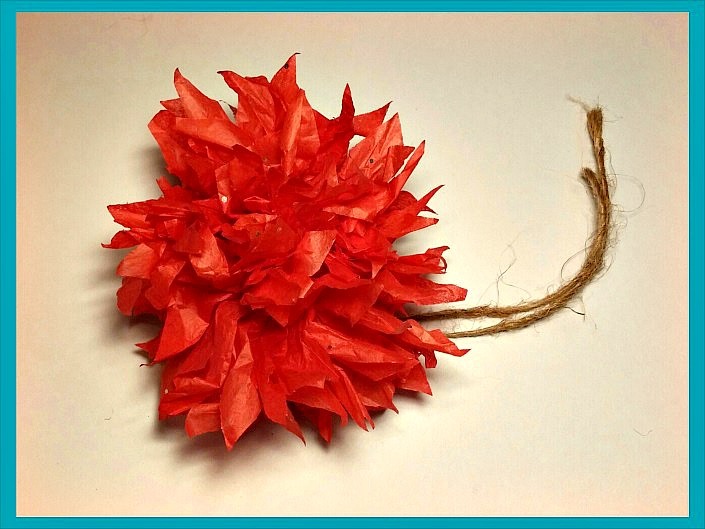 They were so different and unusual from the normal paper flowers you always see Pinned everywhere. They took more time and effort to make, but really turned out fabulous! Well, that’s all for this post. Tomorrow, I will start working on another one. I think this will be fun to follow. Melissa is going to do some posts on it as well, so you can get another person’s thoughts and ideas on having a Pinterest Themed Party right along with my ideas! 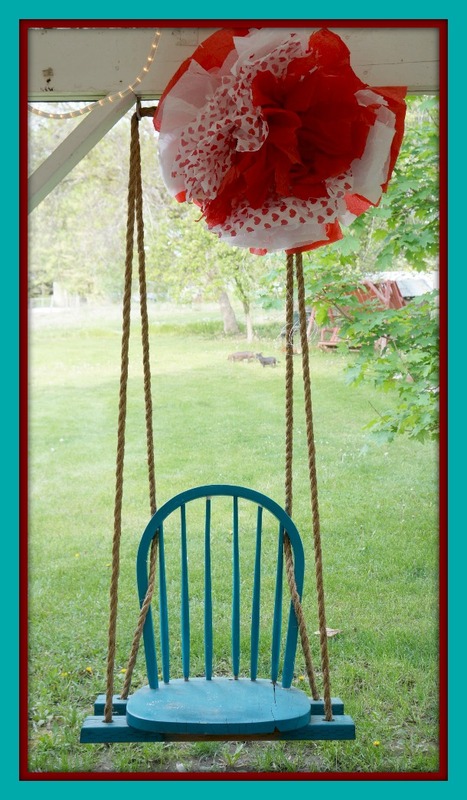 Links for Melissa at Singing Honey Bee Designs…. 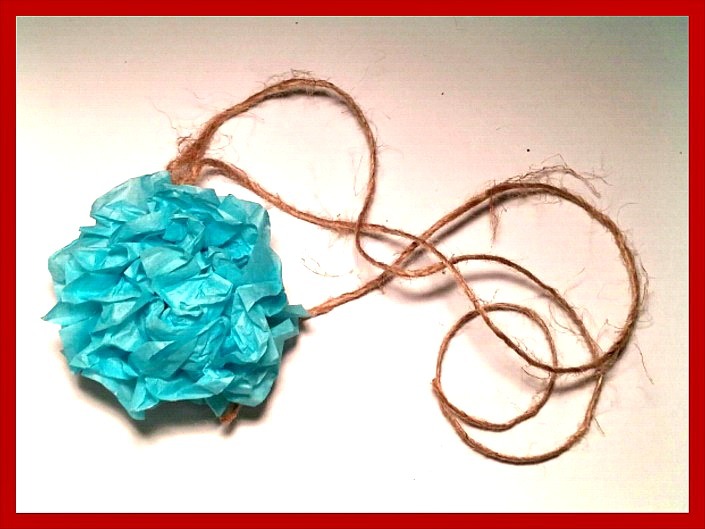 This entry was posted in Crafty, Dessert, Food, Party, Pinterest and tagged birthday, cake pop, cake pops, diy pinterest, fun, paper flowers, party, pin, pinterest, pinterest birthday party, pinterest party, teal, turquoise. 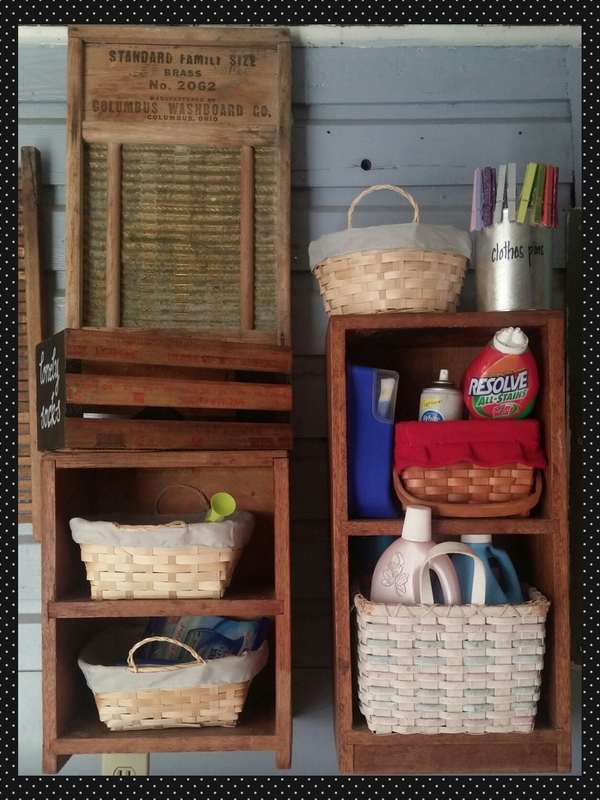 I wanted to title this post, “How to Organize Your Laundry Room and Make it Look Cute When You Can’t Afford To” but I have a hard time using so many words. Those of you who know me in real life can stop laughing now. I really would love to have one of those “perfect” laundry rooms. Wouldn’t you? If you do, that’s awesome! I hope you can still use some of my ideas. 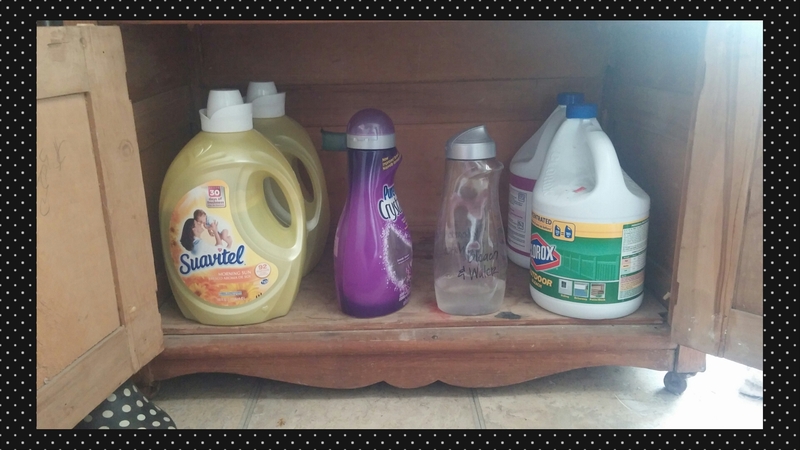 If you do not have one of those laundry rooms, this post is for you! 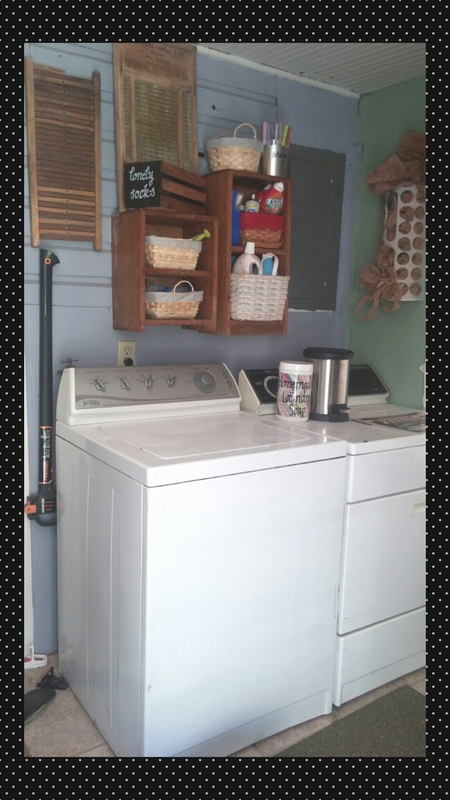 Realistically, most of us won’t be able to custom order a new laundry room with our new house. This will be another of my REAL posts for REAL people with REAL rooms and REAL budgets. Our own laundry room is a former back porch that was enclosed years before it was ours. On one side, the wall is covered with ancient exterior siding that has two windows in it. Also, it has a lot lot lot of holes! Holes in all sizes and shapes. They might be from the old knob and tube electrical wiring, or clotheslines, or shelving. Maybe someone may have tried to hang things up with copious amounts of nails until she found a place that was “just right” for the items to hang. Maybe. Before Pinterest taught her not to do such a thing. Moving onward, there is a small, side wall that still has an original window on it. The remaining walls are wood paneling. Probably from the 70’s. These walls have “modern” windows in them. They also are probably from the 70’s. In other words, ours is not the prettiest of laundry rooms. 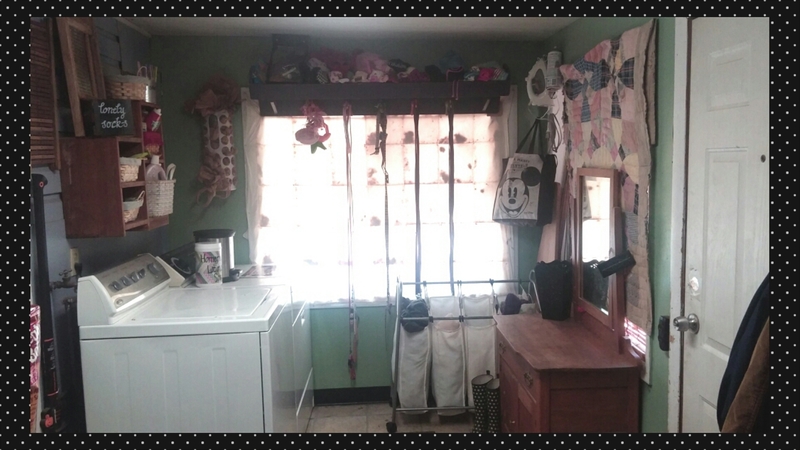 One of these days, I’d like to completely revamp the laundry room. Did I mention the walls are 80’s green and blue? The blue that goes with geese wearing bows? Thankfully, our laundry room is sans geese, but for now, the green and blue stay. I did some organizing, that I think looks kinda cool. I’ve had some nice compliments on it as well. People think it’s cute and fun. And it is, thank you very much! 🙂 By the way, this is the room we keep our pantry in. Since you’ve already seen that, today I’ll only be concentrating on the end that contains the laundry area. 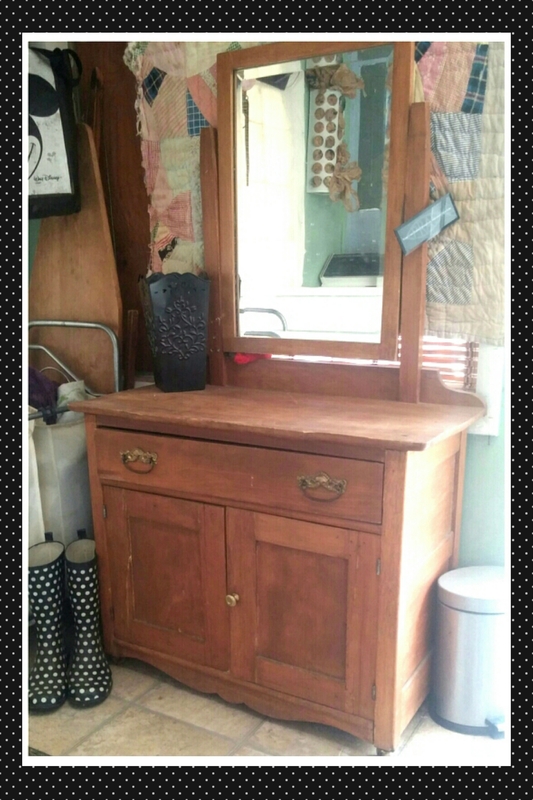 Plus, I have to clean it up for the pictures and where else but the countertop would I put all the stuff??? lol…. I kid, I kid. It really is pretty organized, so as per my usual m.o., I’ll be showing you the realistic pictures. Here’s the view that greets our visitors who enter our home through the former back porch…. We’ve probably had it about 5 years. In that time, none of the stitching has ripped or even stretched. You can see how stuffed I keep it, so it’s definitely heavy-duty. The canvas bags can be removed and machine washed. They don’t even shrink! 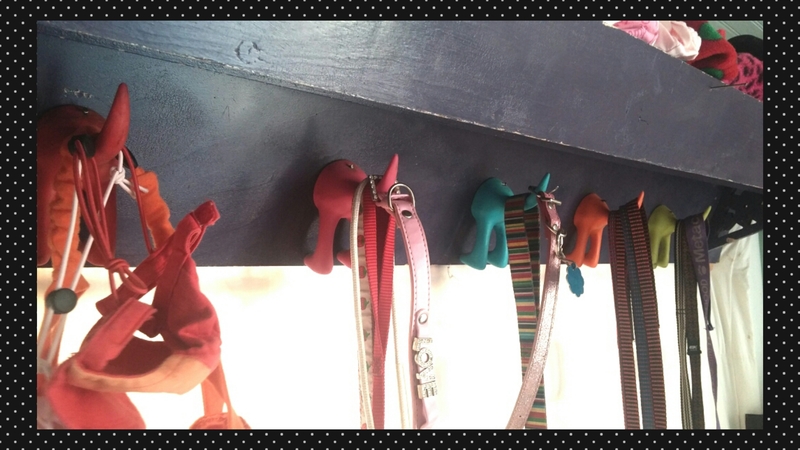 Next, above the washer and dryer, I’ve hung some tiny little bookcases to the wall. I love using things for other than they were intended! These were, if I remember correctly, .50 cents each. The baskets I keep on the shelves are from the dollar store. They have removable liners that are safe for the washing machine. 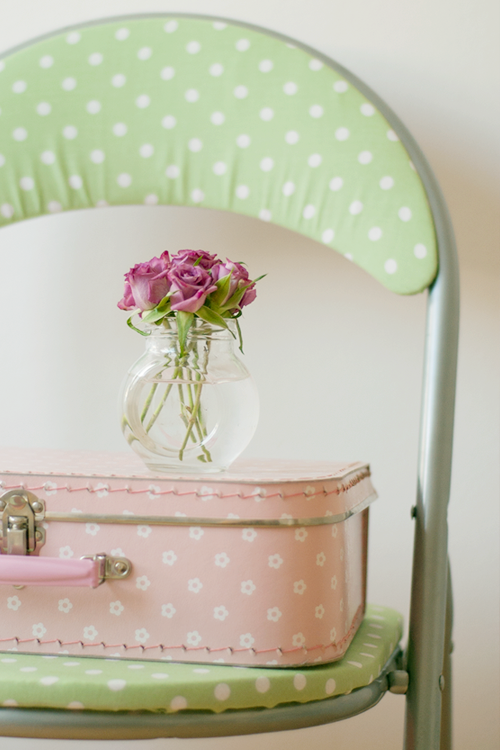 Here’s what I keep in them…. And of course, this is where I keep my yard-stick-chalkboard lonely sock crate…. And here is what it looks like, hanging up in our place…. Mickey Mouse is holding items that need to be ironed. By the way, Southern California dollar stores have all sorts of high quality reusable shopping totes from area amusement parks. Don’t spend the extra money for them at the park! At the thrift store recently, I found an ironing board that is wall mounted, so I’ve sold my other one that used to hang on the rack. The ironing board leaning against the wall is vintage. I use it for displaying items on when I take pictures. 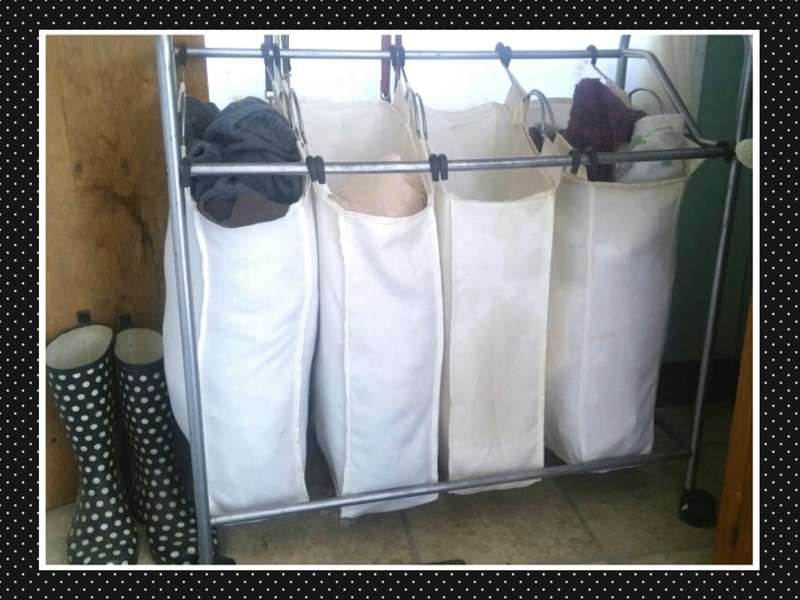 But, my dream is to someday using it for a laundry folding table. For that, I’d hafta fold laundry. Since we have so many accessories, we need a place to keep them. A while back, Mr. Matrimony made this storage unit for me…. The piece itself is made out of a shelf. 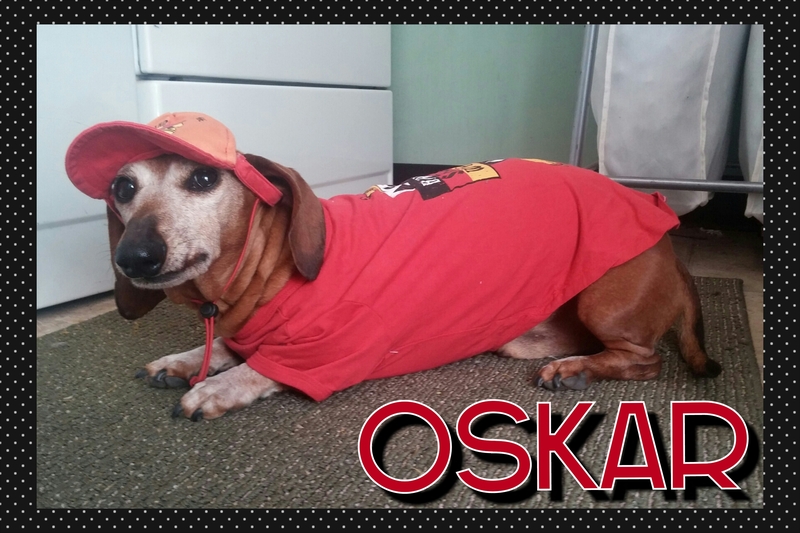 He enclosed it on the front and sides, so the doggie clothes won’t fall out. After I painted the whole thing purple, he attached these sweet little doggie bums! They are from IKEA and I think they are only a couple bucks each. To give them added strength, and to keep them from being bumped and falling off, he added a nail to the top of each of them. They are so stinkin cute! In the mirror, you can see the bag keeper I found at IKEA. We have others as well. 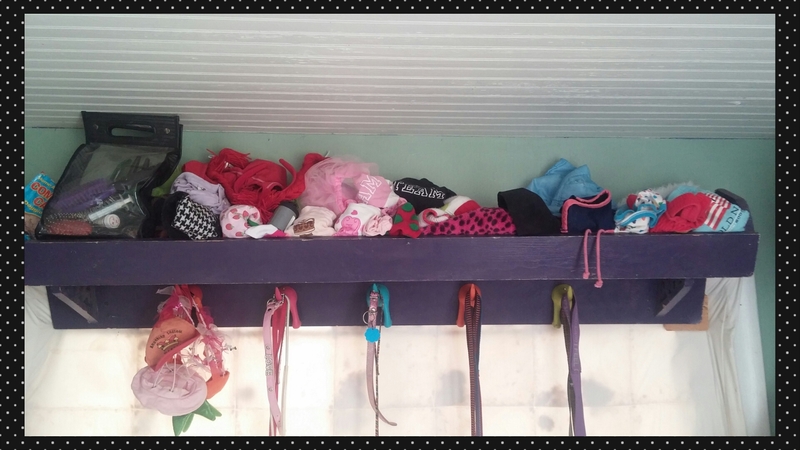 They are great for using in closets to keep kids socks in! 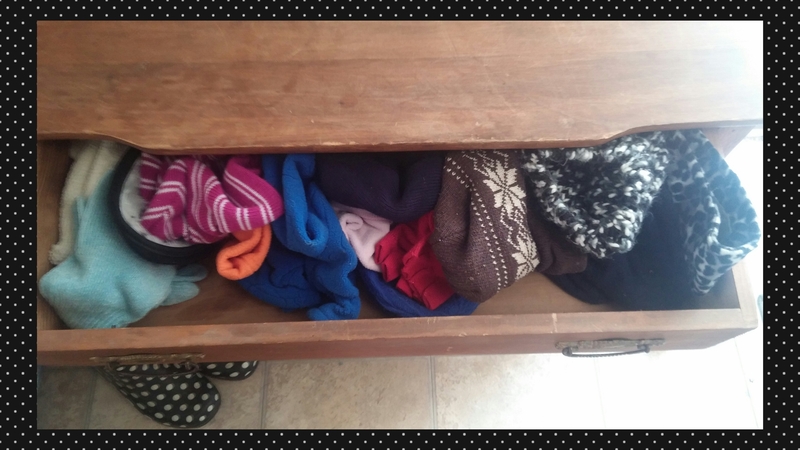 In the drawer of the cabinet, I keep winter hats, earmuffs, and gloves…. 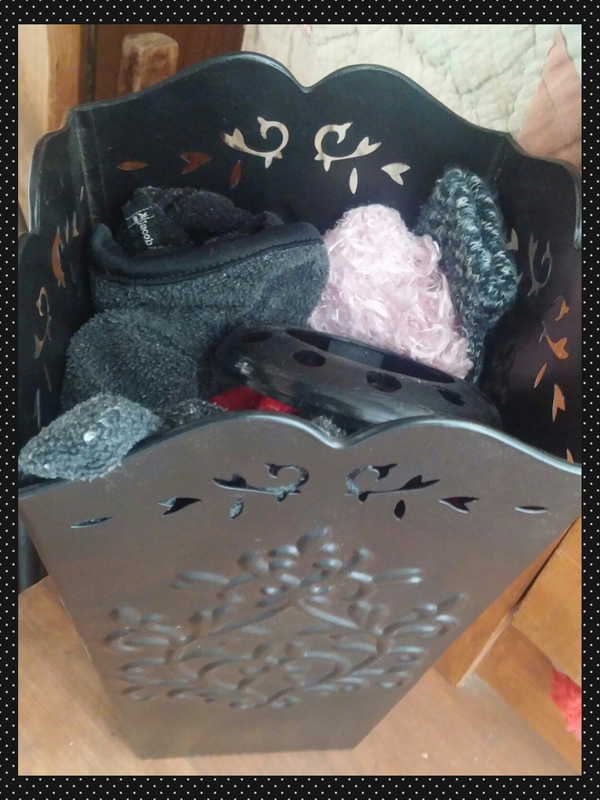 On the top, I have a container (it’s a kitchen gadget container I found at Wal-Mart) in which I keep gloves without their mate…. 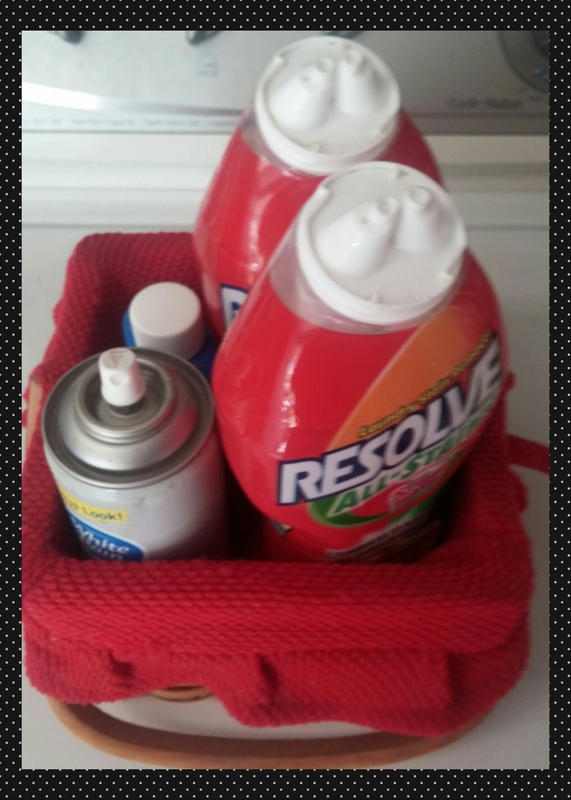 Underneath, inside the cabinet, I keep my larger size laundry supplies…. Lastly, take a look at what I keep on the top of my dryer…. Here’s a picture of the entire area…. Sorry about the glare. My “curtains” are an old quilt and a very used goose down comforter. These windows are going to be replaced someday. Until then, every winter Mr. Matrimony will hang up the “curtains” and leave them until the weather is warm. It may not be perfect, but it’s ours, and it’s a great place to accomplish a not-so-great chore! 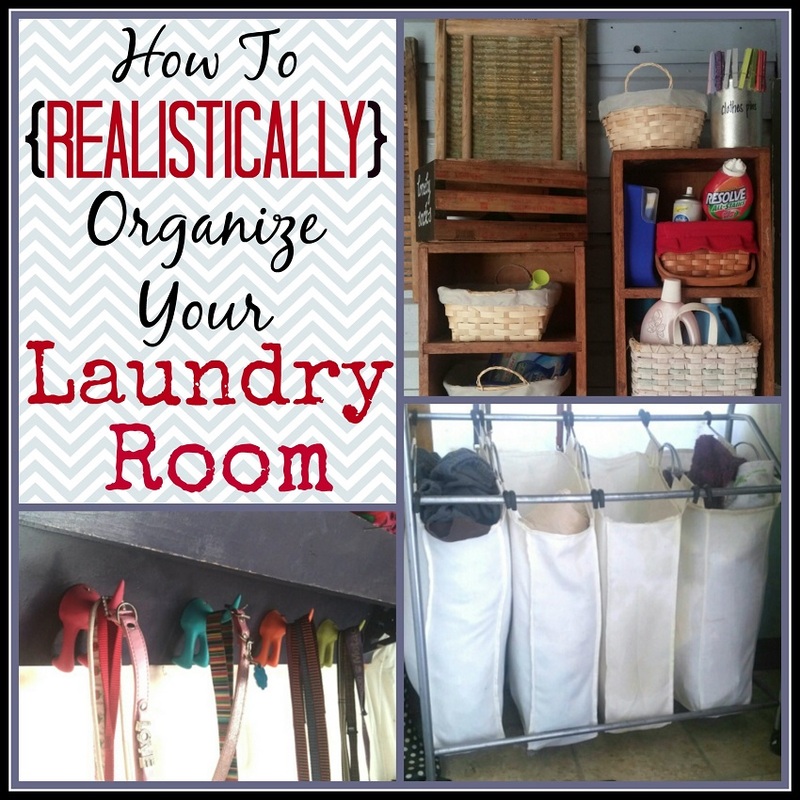 Do you have a dream laundry room or is yours vintage? I cannot take credit for this idea. My friend The Singing Honey Bee came up with it. She is a busy girl! Freezer meals and snacks is one way she saves time so she can spend more of it with her family. 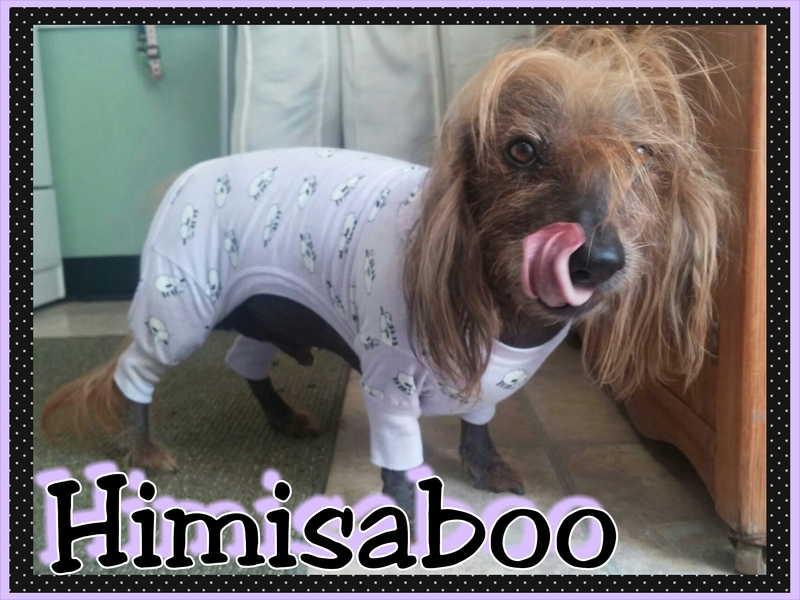 I hope you will check out her blog with all of her wonderful ideas. Here’s a link…. One of the things I clear the shelf out of, when available at clearance prices, is yogurt. 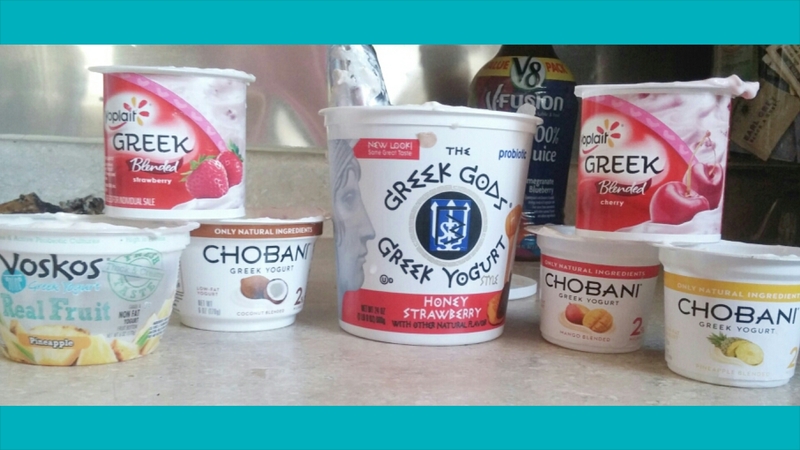 I usually find the 4 packs for .99 cents, quart containers for $1.59, and individual ones for .59 or .79 each (the individual price may seem high, but that is for the Greek kind that regularly can run upwards of $2 each). Aside from these fruits, I added raspberries from the neighbors garden and over-ripe bananas we had previously frozen. All you do is combine the ingredients in a large bow. Stir it up. 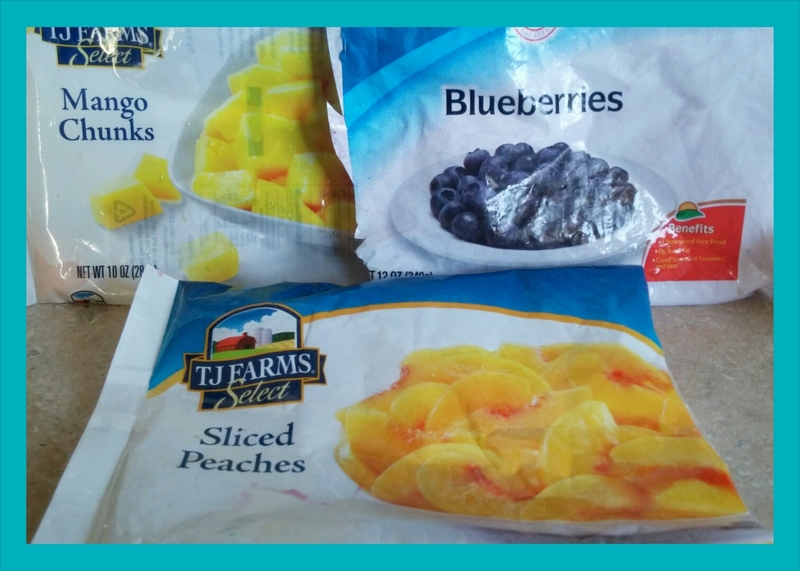 When it is thoroughly mixed, place the mixture in freezer bags. 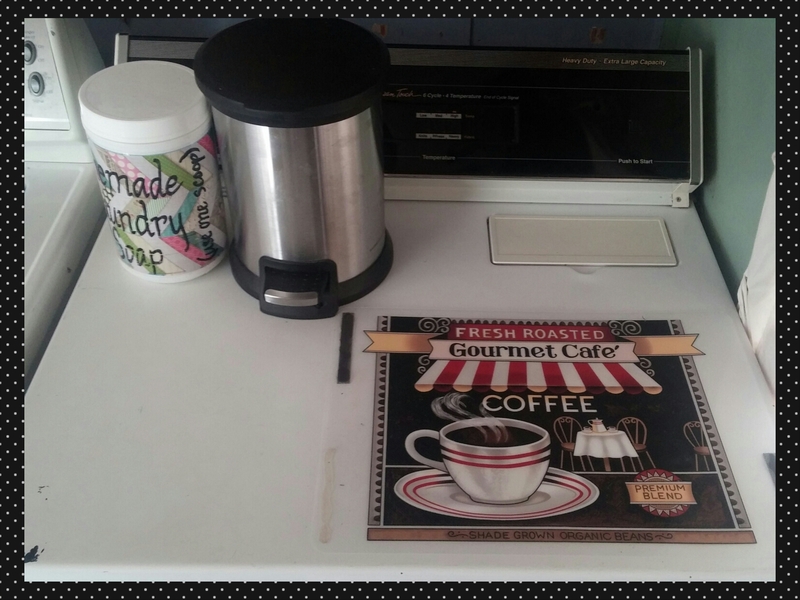 I used quart size and added what I guessed was the equivalent of 2 servings. Here’s a neat little trick I learned a long while back (I can’t remember who taught me, or I’d give them credit!). When you have filled the baggies, remove as much air as possible without getting any on the seal area (it won’t close tightly if it has fruit in it). Then, place them laying down on a cookie sheet. Freeze all of them together. When they are thoroughly frozen, remove them. Take them off of the cookie sheet and put them back in the freezer. This way, you can stand them up individually or stack them neatly with your other freezer items. It makes so much more room in your freezer! Also, it keeps them from forming to each other in clumps so that they are difficult to separate. The best part is, they won’t sink down in the shelving made of wires. Aside from a complete thawing of the freezer, they are near impossible to remove when that happens. 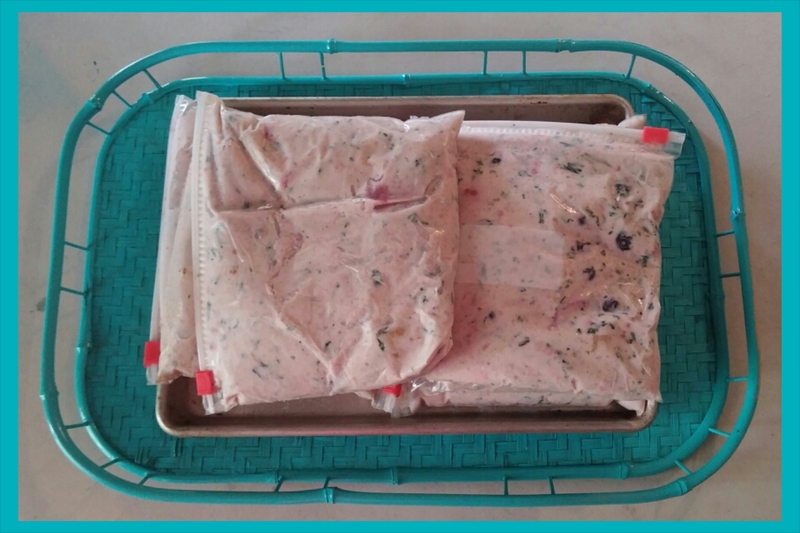 When you are ready to make the smoothie, simply remove a bag from the freezer and let it thaw a tiny bit (like, less than 5 minutes). 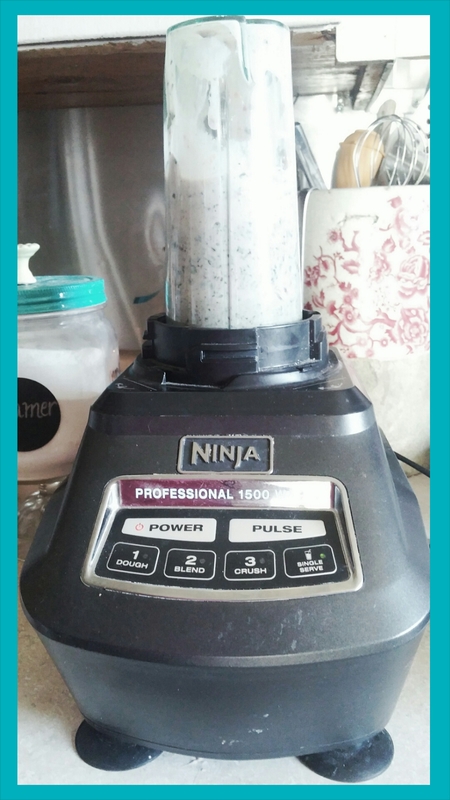 Leaving it in the bag, mush it up and squeeze it into the blender. There is no need to add ice or milk. The consistency as it is should be just about perfect. When you get everything mixed, taste it. You may be okay with how it is just like this. Maybe the yogurt you use has extra sugar added, or the fruit is in syrup. Just make sure you try it before you add sugar. No need adding extra if you like it just fine without! How do you use up things that are taking over your freezer?